As someone who lives in land-locked Pennsylvania, I think of New Zealand as a distant, exotic, and very "removed" place. I haven't been there yet, but Peter Batson's book, Deep New Zealand, provides me the ability to visit without the jet lag -- or the bends. Deep New Zealand focuses on the uncanny marine life found in the deep waters beyond the continental shelf of this Southern Pacific paradise. In his book, Batson dispels any belief that the ocean floor is a lifeless desert of rock and sediment. 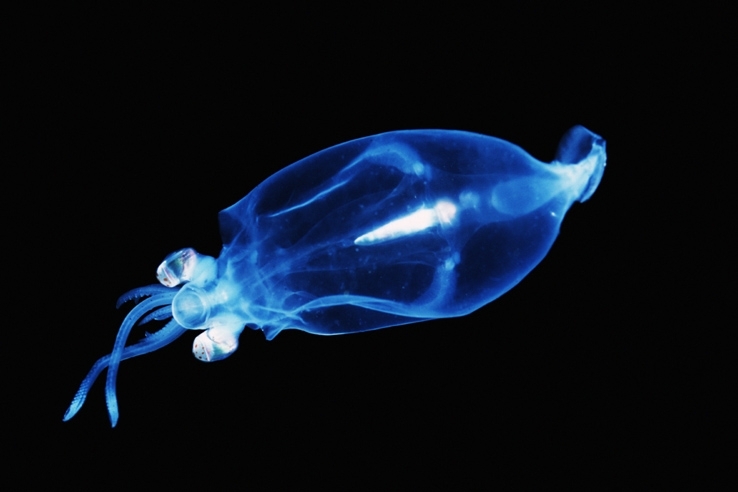 In fact, he goes so far as to suggest that the deep sea's biodiversity may rival that of the tropical rainforests. It is this premise that sets the foundation for a book that is teaming with striking descriptions and photographs of weird life forms from all depths of the ocean. Cephalopods get a generous nod in terms of pictures and content, but they are by no means the central focus -- there are too many unusual creatures to single out any one class for more than a dozen pages or so. Strange jellyfish, sponges, and sea worms are among the inhabitants of the vibrant corals that adorn the waters throughout New Zealand's Exclusive Economic Zone (EEZ). Squat lobsters, spinybelly hatchetfish, gulper eels, black sea dragons and basket stars are all photographed and illustrated in stunning detail -- to only name a few. In the interest of cephalopods, consider Amphitretus pelagicus, discussed in the chapter on molluscs. This pelagic (non-bottom-dwelling) octopus can actually move its telescopic eyes around the inside of its body so that they are always facing the surface. Bizarre! TONMO.com favorites like Vampyroteuthis and Taningia danae are covered as well, as are the larger cephs Moroteuthis ingens and Architeuthis dux, each with photos or illustrations. Beyond this, Deep New Zealand also addresses marine reptiles, seabirds, dolphins and whales, by taking a look at what role they play in the ocean's ecology. TONMO'ers will appreciate Batson's empathetic approach -- he understands that most readers have never been (nor may ever be) exposed to the creatures or elements he writes about. For example, there is a wonderful two-page aside that walks you through the experience of travelling to the ocean's depths in a deep-sea submersible, as if you yourself were the explorer. 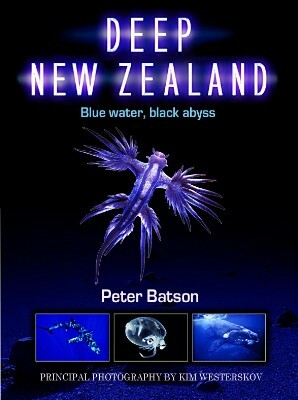 In Deep New Zealand Peter Batson ambitiously addresses a broad array of subjects pertaining to life in New Zealand's oceans, including ecology, geology, history, fishery politics and regulations, and of course biology. In order to empower the reader with an informed perspective, this essential information is relayed in such a way so as not to overwhelm with unecessary detail or complexities. Yet, the richness of New Zealand's waters and the significance of this study is not lost in any chapter, in fact it is consumed by it. This quality makes for some exceptional, mind-blowing reading. 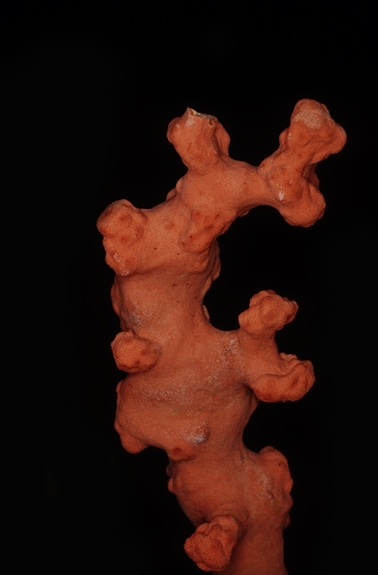 coral reach 10 meters in height and more than a meter in girth. Note: Contact kaye.godfrey@canterbury.ac.nz for ordering information.